Galvanic Games was founded by Patrick Morgan, Taylor Beeghly, and Royce McLean in 2015. Their early creations include the destruction derby game "Welcome to the RustBelt" and "Gurgamoth" a flying fighting game. Since then the independent development studio from Seattle Washington has expanded and have developed a number of titles. 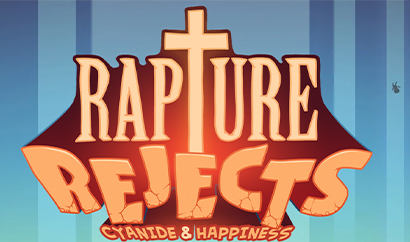 One of these titles includes "Rapture Rejects" based off of the webcomic series "Cyanide and Happiness" their latest joint ventures with Explosm Games and tinyBuild. You can connect with Galvanic Games on Twitter and Facebook.